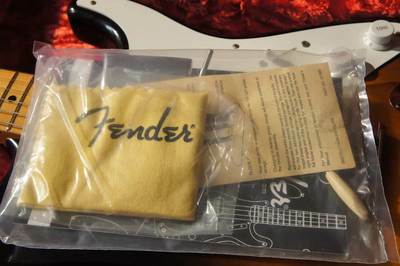 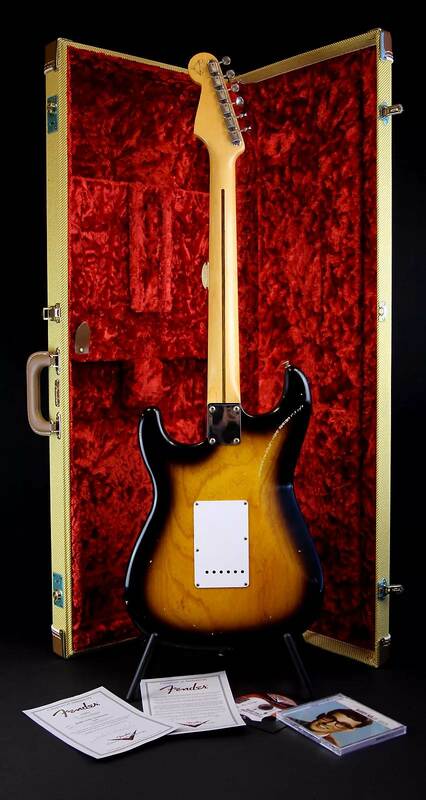 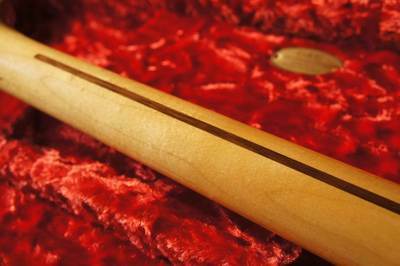 Hand built by Fender Custom Shop Master Luthiers. 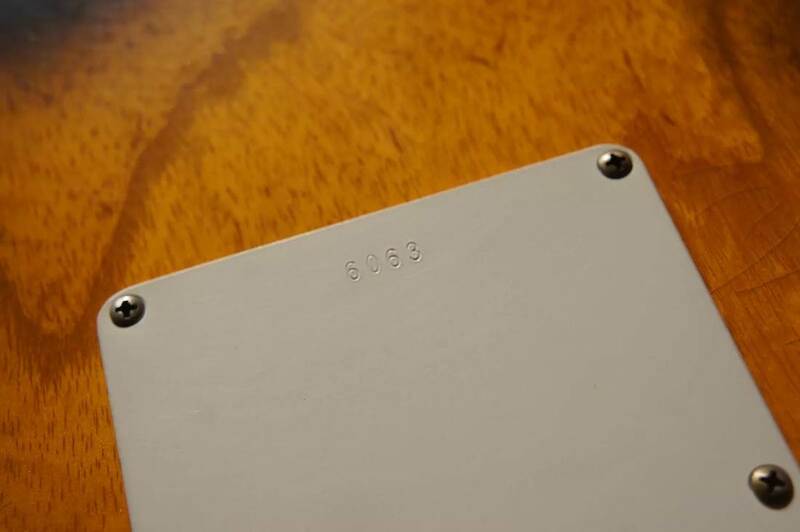 Serial on the Back Plate. 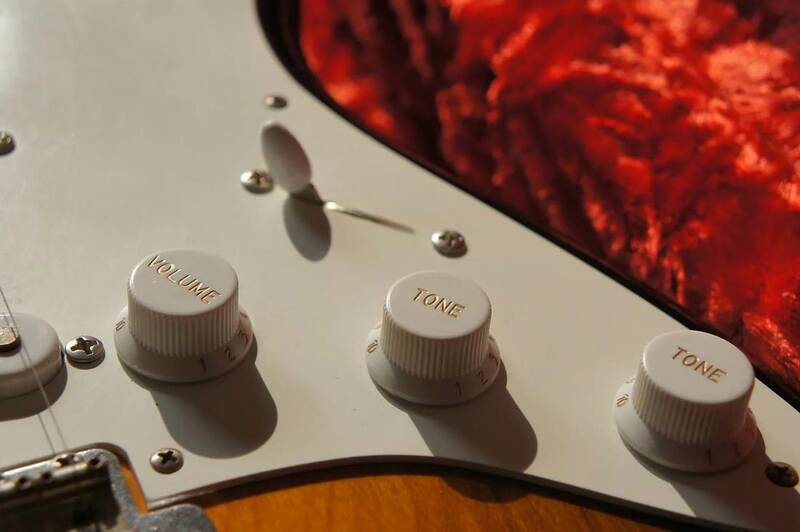 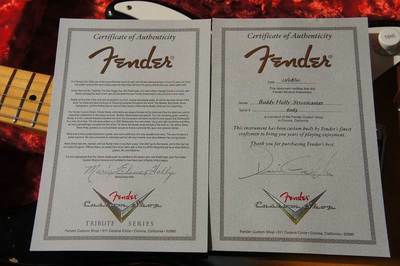 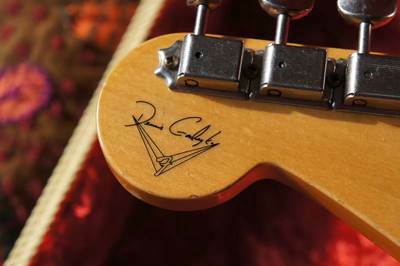 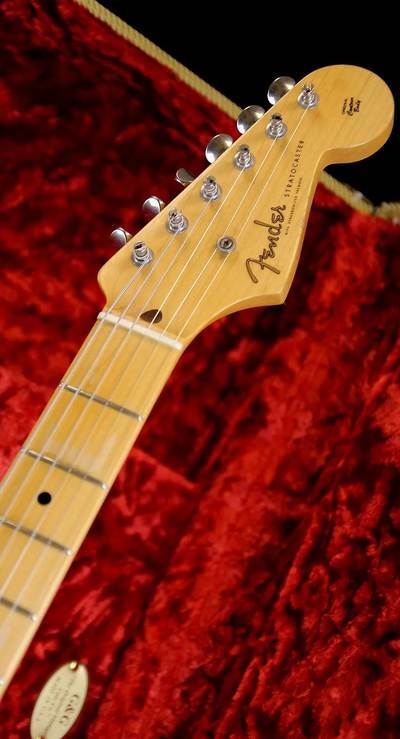 Fender Custom Shop's Relic treatment creates instruments that are spittin' images of the originals. 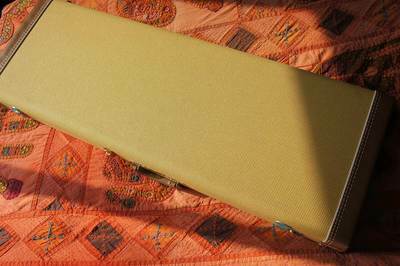 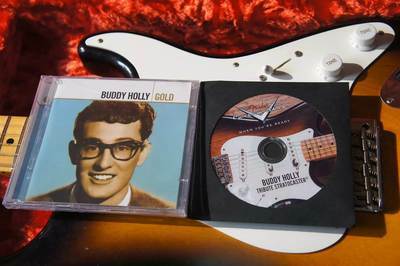 Without sneaking a look at the neck heel stamps, you'd be hard-pressed to distinguish the Buddy Holly Tribute 1955 Stratocaster from the real deal. 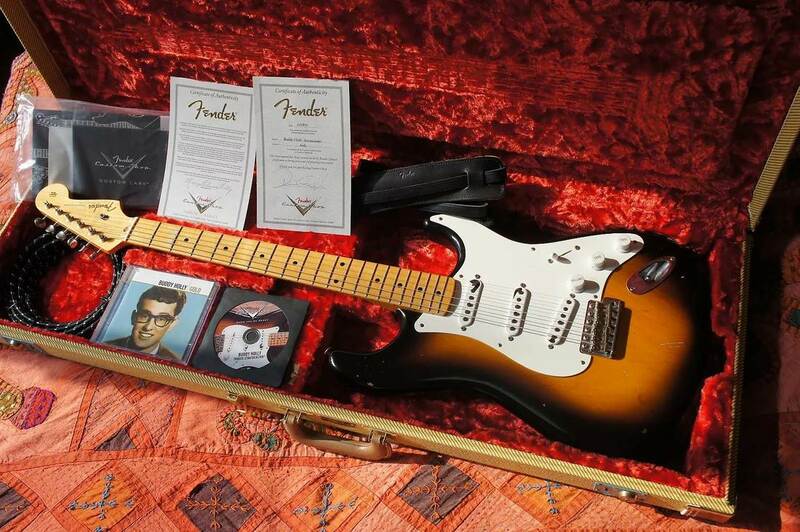 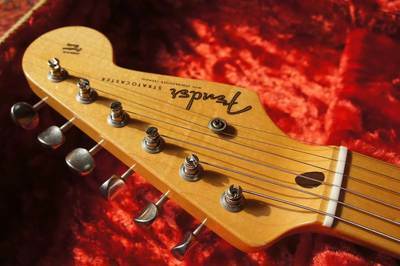 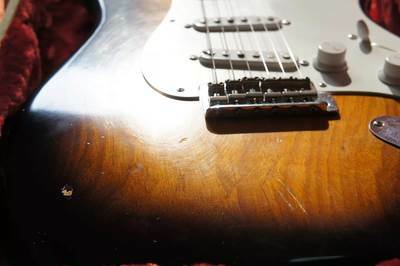 To this day, it is hard to look at a Fender Stratocaster and not think of Buddy Holly. 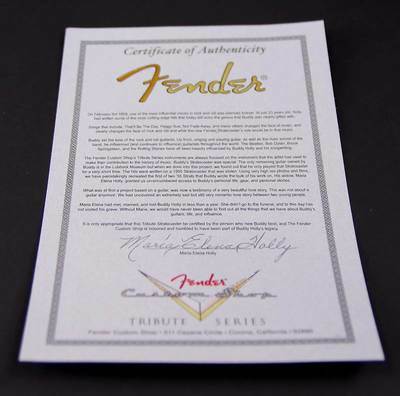 While his musical legacy remains unparalleled, his impact and contribution to launching the Stratocaster will always remain part of Fender's history. He burst onto the music scene with a 1955 Stratocaster and wrote most of his earliest hits on that guitar. When that guitar was stolen, he bought another 1955 Stratocaster, and that too was stolen. 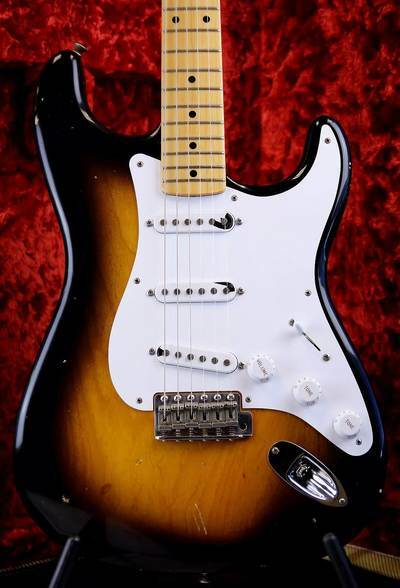 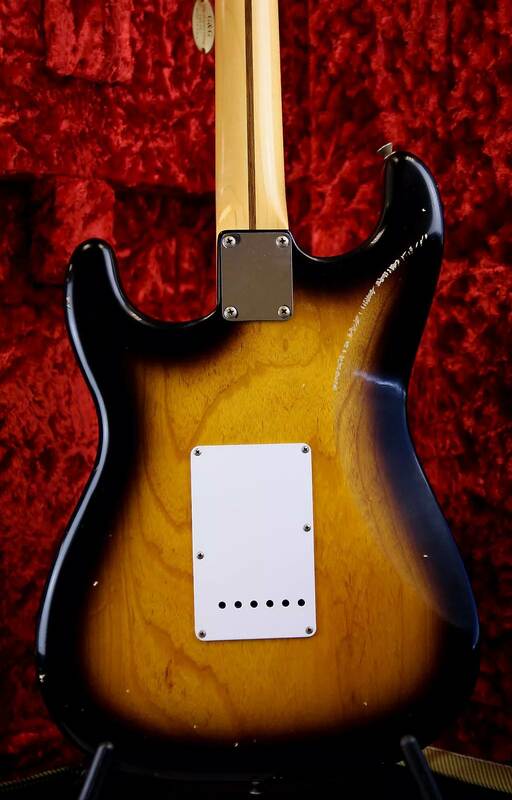 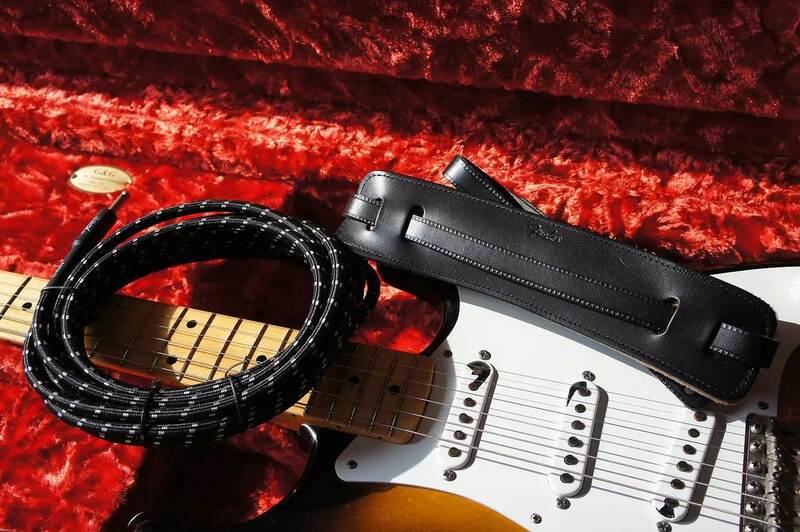 That original '55 Strat has now been painstakingly reproduced from photographs, using all the original materials, pickups, woods, paint scheme, along with all the nicks and dings from Buddy's original, and offered as a special 50 piece tribute to one of Rock'nRoll's pioneers. 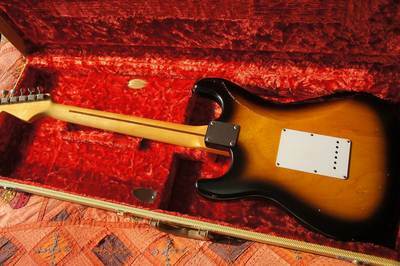 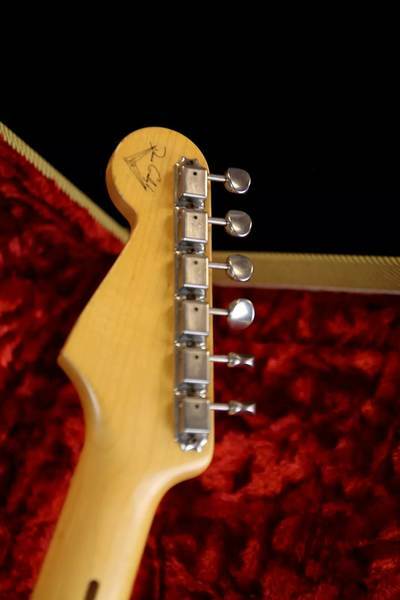 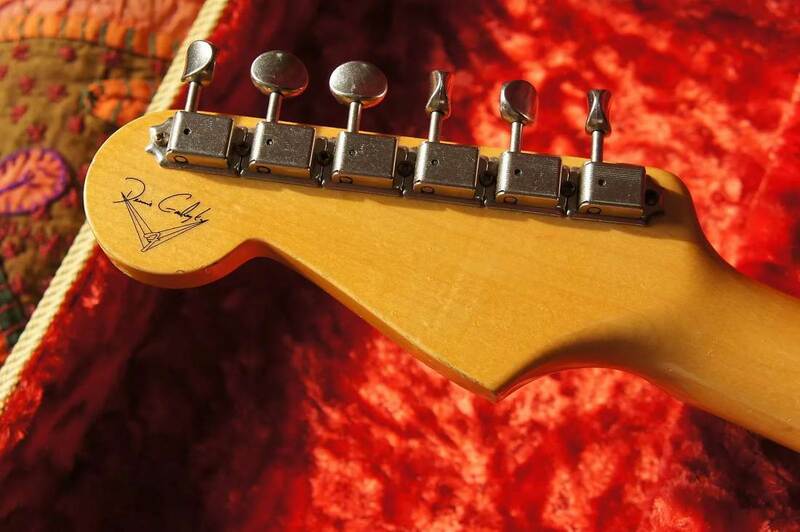 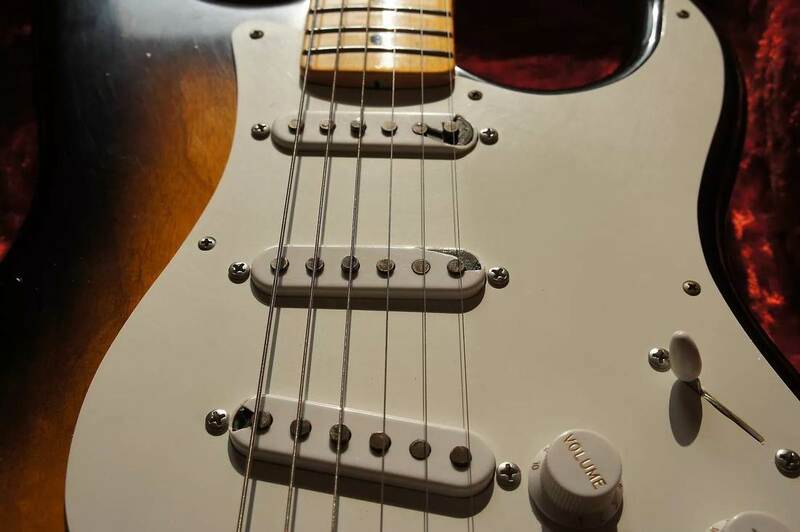 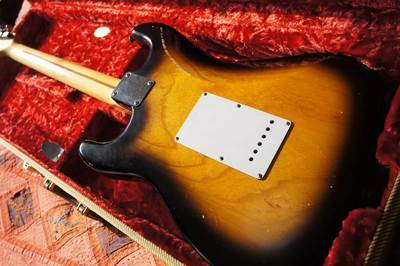 This master-built Stratocaster comes with a 2-disc set of Buddy's gold records, and a signed certificate by Buddy's widow, Maria Elena Holly. 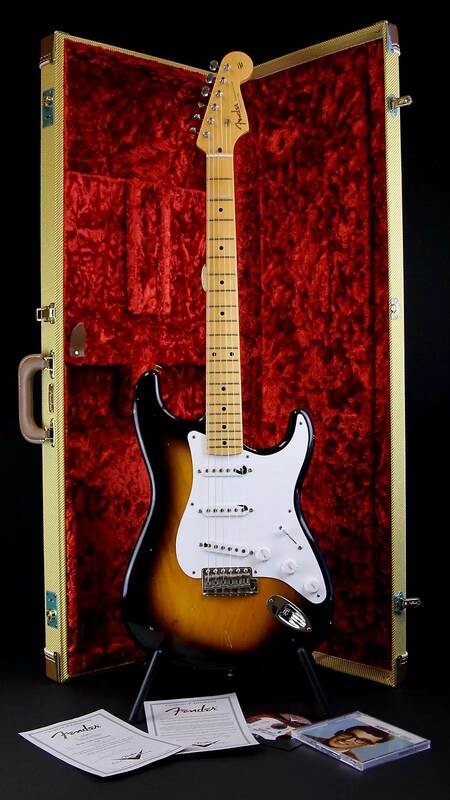 There is also a very special DVD interview with Maria Elena that makes this unique package not only a great tribute guitar, but also documents a beautiful and tragic love story.